Chris Jackson/Getty ImagesPrince Harry and Meghan Markle apparently want members of the public to feel part of the celebrations too. 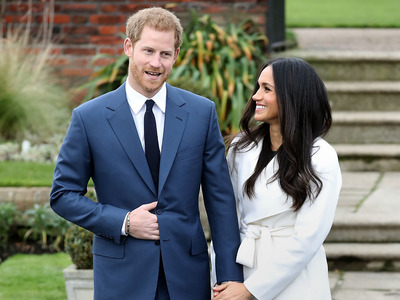 Kensington Palace has announced that over 2,000 members of the public will get to be part of the next royal wedding. They will be invited into the grounds of Windsor Castle to watch the arrival of Prince Harry and Meghan Markle on their wedding day on May 19. A selection of people from across the UK, local schoolkids, and charity workers will be invited into the grounds. The couple apparently want to allow members of the public to feel part of the celebrations too. Prince Harry and Meghan Markle have announced that they will be inviting over 2,000 members of the public into the grounds of Windsor Castle to watch part of their wedding. Kensington Palace announced this morning that Harry and Meghan said that they “want their wedding day to be shaped so as to allow members of the public to feel part of the celebrations too. The people chosen will be invited into the castle ground to watch the couple and their guests arrive. They will also be able to watch the carriage procession as it departs from the castle. The ceremony itself, inside the castle’s St George’s Chapel, will have a more exclusive guestlist. 1,200 members of the public from all over the UK will be nominated to attend by nine regional Lord Lieutenant offices. There will be people chosen from a broad range of backgrounds and ages, including young people who have shown strong leadership, and those who have served their communities. 200 people from a range of charities and organisations which Prince Harry and Markle have a close association with, including those which Prince Harry serves as Patron. In total 2,640 people will be invited into the grounds to watch the arrivals, this will include 530 members of The Royal Households and Crown Estate. The couple will marry on May 19 at St. George’s Chapel at Windsor Castle.